Partly cloudy skies. High 76F. Winds WNW at 10 to 20 mph..
Clear skies. Low 46F. Winds N at 5 to 10 mph. 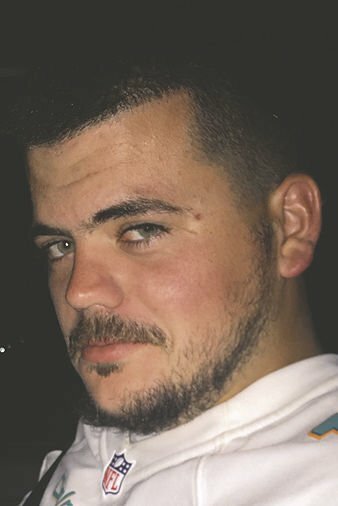 Dalton Ray Payne passed on 03/27/19 in the Santa Ynez area unexpectedly at the age of 21. He was born in Plantation, FL on June 23rd, 1997 to Duane and Kimberley Payne. He was the youngest brother of Emily and Jesse Payne and a loving uncle to Jaiden, Aubree, and Jacob. He attended Santa Ynez Valley high and was always surrounded by his aunt and uncle, Rick and Marcy Payne. The love of his true friends that remained by him will never be forgotten. He loved the Pirate's football team and the Miami Dolphins and could be heard talking about both every day. He is remembered by being a loyal, honest, hard working man that would do anything to make his friends and family laugh. He goes on to be with his mother in heaven and he will carry on with us all. The services are to take place Friday April 5th, 2019 at Oak Hill Cemetery at 1 pm followed by a celebration of his life at Sunny Fields Park on Alamo Pintado Rd in Solvang.